During your stay at IDI Hotel you have a variety of options for beach life, dining and nightlife, as well as touring and sightseeing. You can do water sports (the beautiful sandy beach, where all sorts of water sports can be found, is only minutes away from the hotel), play mini golf or billiards, tour the market, enjoy a relaxing coffee on the lagoon or a drink in the village alleys. Sample Cretan cuisine in one of the great taverns and taste fresh fish, fished by local fishermen at the Paximadia Islets and further into the Mediterranean Sea. Evenings can get lively in night clubs with uplifting music or peaceful with slower rhythms at the cafés and bars – it’s up to you to choose. 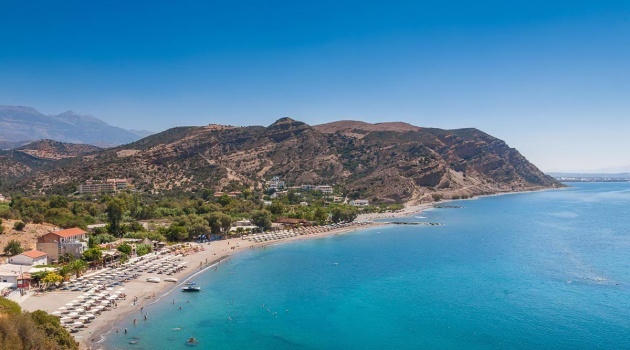 Don’t miss taking a cruise to the wonderful beaches of Agios Pavlos and Agios Georgios, as well as Paximadia Islets, just 5 miles from Agia Galini. Preveli beach with its crystal clear waters and lush palm forest is another great place for you to discover.Ships depart from the harbour of Agia Galini daily. Daily from 10:30 a.m. – 16:15 p.m.